I am in the market for a new wool rug, so, I have been reading online reviews. Now, admittedly, with my background, I know fun facts about textiles and fiber. I know, for example, that wool fiber rugs shed a lot. As in A LOT, a lot—sometimes, for years. You may know this, as well. And, if so, I am glad you are armed with pertinent data to inform your rug buying choices. But, what strikes me about the online comments, is not the annoyance with the shedding—it’s the righteous way in which commenters state that the rug, itself, is flawed, rather than considering that they may not understand the nature of the rug. Now, if this post was actually about rugs, I wouldn’t be writing it. But, this isn’t just about rugs. Every day, I see what I can only assume are reasonably kind, educated human beings, making sweeping generalizations, and full-on judgments, about subjects which they have limited knowledge. And, so, in the last few months, we have collectively endured another wave of passionate, righteous, and unfortunately ill-informed, statements about other people’s trauma. Again, trauma happens to be an area of professional knowledge for me. I do not feel haughty or righteous knowing this information—it’s just part of my trade. There is a lot that I still do not know. The nature of trauma is incredibly complex. So, it’s completely appropriate that the average person would not have facts and understanding about how trauma impacts the brain, the body and behavior. But, that hasn’t stopped people from presenting their opinions as facts. So, I sincerely ask that if you are stating a critical thought, in a public forum, no matter the subject, consider this: Is this thought informed by something other than my subjective opinion? Can I further educate myself on this subject to better understand it? Look, we all have our opinions, and we can share them, as I am doing here. I am not in the business of silencing voices. But, I also believe in social responsibility. It would not be responsible of me to use my platform to denounce the grocer’s sour cherries, just because I had only tried sweet ones, so CLEARLY these cherries were rotten. When we use our voice in a public forum, even if that’s just among friends, on social media, we have the power of influence. Of course, many are well aware of that influence and consciously choose to spread mis-information to disempower others. And, if that’s your goal, this post isn’t going to stop you. But, for others, who have good intentions, and strong opinions, I genuinely ask you to be mindful about how you share your thoughts. If it’s actually something you care about, learn about it. 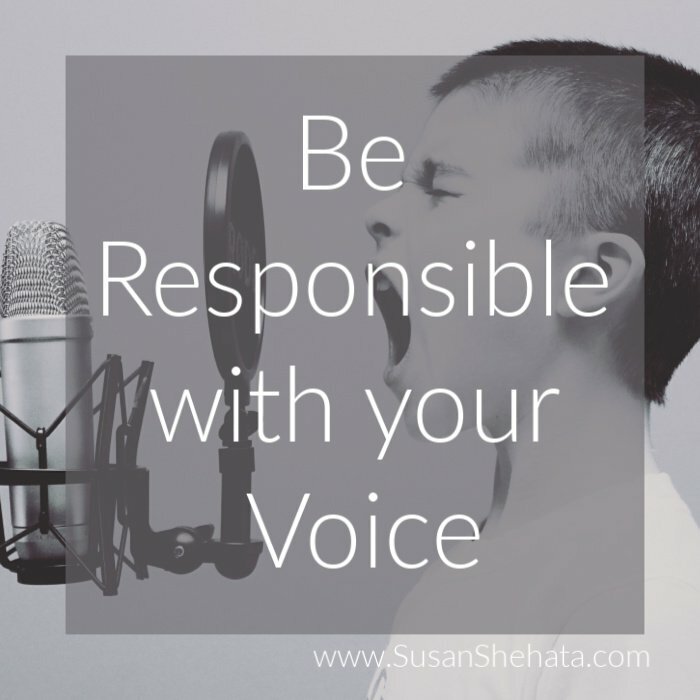 And from that place, your voice will more effectively contribute to a collective conversation. Until then, just pause and reflect, before you speak up. In other words, please stop just blaming the rug.